“There remains no official response as to the fate of the cats that were apprehended on a truck in Hanoi, Vietnam. We have heard conflicting and equally inhumane stories as to how they may have been destroyed. Our request for any visual evidence of their fate has been denied. While we have offered our assistance in treating the cats and finding them homes – we must now assume they have all been killed, most likely in an inhumane fashion. “The police officer who apprehended the truck deserves great credit. Beyond that the system has horrifically failed these animals - from border to burial. “The trafficking and sale of these animals must be stopped as does the selling of cat for meat and the practice of inhumane killing of trafficked animals. “This must be a wake-up call and be the start of positive change. ACPA and its constituent NGO’s are ready and willing to help the authorities make sure this is never repeated through the implementation of training and development of systems. “Working alongside the authorities and law enforcement, together we can build a framework that will lead to a humane response when these kind of situations occur. Between us we can eradicate this illegal practice and ensure law enforcement officials are never left in this situation again. 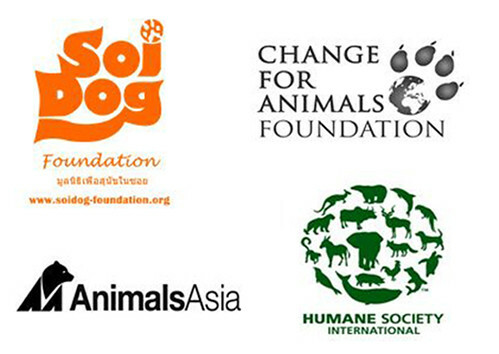 ACPA comprises Animals Asia, Change for Animals Foundation, Humane Society International and Soi Dog Foundation acting both locally within Asia and internationally.